Entrepreneurs with political connections are looking to jump into the Illinois medical marijuana industry. – Attorney Sam Borek has registered at least 36 cannabis company names in Illinois. Borek is the college roommate of – and a major financial contributor to – Rep. Lou Lang, who was one of the chief sponsors of the state’s medical marijuana law. – David Rosen, who worked as the chief fundraiser for Illinois Gov. Pat Quinn in 2010, has registered the name of a medical marijuana businesses, called Waveseer, in Illinois. Rosen has also filed paperwork to run a medical marijuana business in Nevada, and his list of investors for that operation includes at least four sizable donors to the 2010 Quinn campaign. 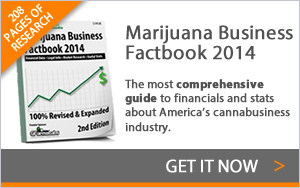 – Quinn’s former chief of staff Jack Lavin is entering the industry as a lobbyist for a marijuana company. So is Mark Boozell – the former chief of staff for Gov. Jim Edgar – who will lobby on behalf of the company Salveo Health & Wellness, which is pursuing a cultivation license. Illinois is not the only state to see politically connected entrepreneurs enter the cannabis industry. Nevada’s medical marijuana industry recently attracted entrepreneurs with ties to politics and elite businesses. Massachusetts’ medical marijuana industry also attracted a smattering of former lawmakers, political strategists and lawyers, such as former Congressman William Delahunt and former House speaker Thomas M. Finneran.